Was it going to be anew Expantion for Malifaux where maybe Zoraida had Voodoo Dolls of them that could affect who you faced? Was it to play an epic version so to speak on a 2×2 board? 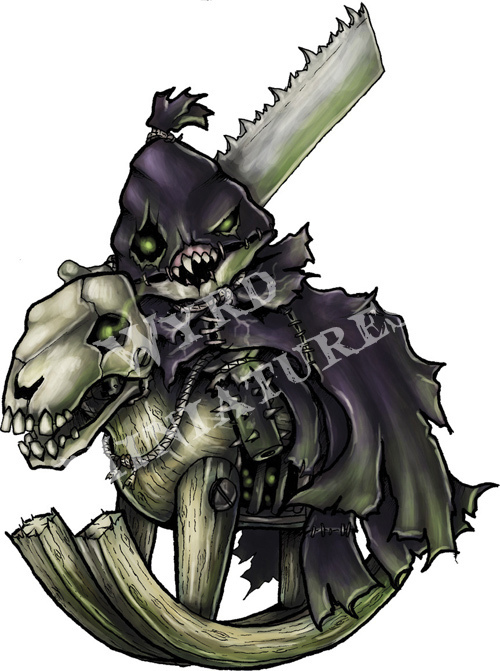 Well we know not that much more apart from Wyrd calling for Play Testers and from there they have released the below images for it. I don’t know about you but I love the Puppet art work and I’m highly tempted to get some Puppets tattooed on me! Who am i kidding I want them!! I feel a certain small monster anime based cartoon (with several popular video games) catchphrase coming on!!! How else do you recharge the soul stones! There is actually some great additional rumors coming out of the separate Puppet Wars thread in the Wyrd forums. Its sounding a bit like a flexible board game version of Malifaux. I am very excited, although I will admit I did not sign up for the playtest. I have a couple guys in our local group who are signed up and trying to be play testers. For me, I am trying to get involved in a different play test.